“Been there, done that, but still more than happy to make some noise”. If I Plead Irony had a motto it would probably be along those lines. 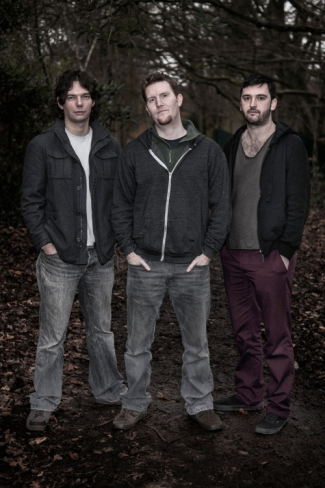 Based in Farnborough these “accomplished band whores” as a local rock hero Paul Townsend (Hundred Reasons) describes them certainly have a lot under their belts to be proud of. This three piece consisting of Rauf (Bass and Vocals) Lawrence (Drums) and Paul (Guitar) who made up 60% The Fins, 66.6% Ipanema and 75% of the French band Atomic Garden have already made a name for themselves with several records and European and British tours in the aforementioned bands. With two albums under their belt and a third currently in the works they show no signs of slowing down. More angst ridden, raw edged rock with lashings of melody then you can shake your “sign of the horns” or even a stick at!